What makes it a magic search engine? of a taxonomy. What's wrong? 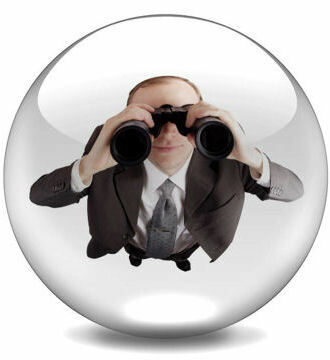 ABRA-SEARCH.COM is a dedicated search engine for searching and browsing XBRL taxonomies. It combines typical features of full text search engines (e.g. Google) with a rich and intuitive Web-based user interface for discovering XBRL taxonomies. Why is an XBRL search engine needed? XBRL taxonomies contain plenty of information which may be useful for XBRL adoptors. But particular concepts or properties of XBRL taxonomies are hard to find for non-XBRL experts. ABRA-SEARCH.COM applies the well-established mechanism of full-text search and provides search results as entry points for further XBRL taxonomy discovery, for instance multi-lingual translations, calculation rules, references and concept details. XBRL is an XML-based markup language developed for financial reporting. It provides a standards-based method to prepare, publish (in a variety of formats), reliable extract and automatically exchange financial statements. The standard is governed by a not-for-profit international consortium (XBRL International Incorporated) www.xbrl.org. What is an XBRL taxonomy? XBRL International is supported by its jurisdictions - independent bodies, generally organised on a country-specific basis, that work to promote the adoption of XBRL and the development of taxonomies that define the information exchange requirements of their particular domains. Taxonomies capture the definition of individual reporting elements as well as the relationships between elements within a taxonomy and in other taxonomies. ABRA-SEARCH.COM is provided by ABZ Reporting GmbH. ABZ is a spin-off company of Fraunhofer Gesellschaft which is the larges public research organisation for computing sciences in Europe. Besides its commercial XBRL products, ABZ provides free open source software to the XBRL community. The free open source XBRL processor ABRA is the most popular ABZ product. The browser interface is heavily based on small webservice calls, which speeds up response time and minimizes resource consumption on client side. The full-text search is adjusted and optimized for XBRL taxonomies only. ABRA-SEARCH.COM was built on our XBRL processor ABRA which allows modular taxonomy extensions (reuse of taxonomy modules by other taxonomies). The ABRA processor uses an embedded XML database. So there is no restriction for the number of taxonomies which are processed by our search engine! I cannot find a particular concept of a taxonomy. What's wrong? There are many ways to find a concept in the taxonomy. Please check whether you have selected the right taxonomy first. Furthermore, check whether you have choosen the same taxonomy language in the languages list box below the search imput box as you have used in your search query. If your taxonomy selection and language settings are o.k., please check out the following search methods. Check the suggestions during entering a search term to find out whether a search word is indexed by the taxonomy search engine! Use wildcard search, e.g. "*asset*"! Search for accounting references (e. g. paragraph numbers) or best practices! Check the calculation rules of related concepts! If a particular concept was bookmarked, check whether the reference is properly URL-encoded! Can I provide taxonomies or user interface translations? If you would like to provide a public taxonomy YES, PLEASE! We aim at providing as much public taxonomies as possible at ABRA-SEARCH.COM. Please click the submit "Submit Taxonomy" buttom below the search input box and fill in the submission form. If you would like to provide further user interface translations for the search engine, please download the language properties file (.doc format) and send the translated document to abra-search-feedback [at] abz-reporting.com. It is just about 15-30 minutes to prepare a single language translation! If your taxonomy is a private taxonomy, please check our offers for taxonomy hosting or obtaining a license of our search engine. Please click the "Taxonomy Hosting" button and fill in the form to obtain further information about hosting and licensing. How can I create links to a taxonomy? Where to find further cutting-edge XBRL software? Acquired a taste for cutting-edge XBRL software? To find further XBRL software visit our website at www.abz-reporting.com!